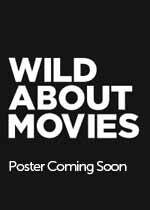 Wild About Movies provides you the most up-to-date 2007 Movies information online. Our list of movies in theaters in 2007 is even more accurate than the IMDB database. Click on any of the 2007 movie posters images for complete information about all 2007 movies in theaters, including trailers. We provide the complete list of 2007 movie releases by week of release. Of all 2007 Movie releases, Spiderman 3 was #1, which featured Toby Maguire in the lead role. Twenty-eight films released during the year took in more than $100 million at the U.S. box office, eleven earning over $200 million, and four earning in excess of $300 million. Nine of the ten films in the Top 10 at the 2007 box office were sequels or the beginnings of franchises that created sequels. The only original film in the Top 10 was I Am Legend. No Country For Old Men won the Oscars for Best Picture, Best Director (the Coen brothers shared the Oscar) and Best Supporting Actor (Javier Bardem). Daniel Day Lewis won his second Oscar for Best Actor for his role in There Will Be Blood, while Marion Cotillard won the Best Actress Oscar for La vie en rose (becoming one of only a handful of actresses to win the Oscar for a non-English speaking role). Tilda Swinton took home the Best Supporting Actress Oscar for her role in Michael Clayton. Robert Neville (Will Smith) is a brilliant scientist, but even he could not contain the terrible virus that was unstoppable, incurable. . In 2002's The Bourne Identity, he tried to discover who he was. In 2004's The Bourne Supremacy, he exacted revenge for what was done to him. Below: First official photo: "National Treasure 2. " "National Treasure 2" is the follow up to the box-office hit "National Treasure.